Draws are always a telltale sign that decisions on a former stage of a competition have been made, and that a new competition phase is about to start. In terms of European handball draws the focus will be very much on Poland this week with two of them taking place in the nation's capital, Warsaw, in the scope of less than 48 hours. 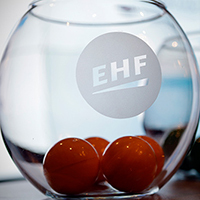 On 11 April at 11:30 hrs local time the qualification groups for the Men's EHF EURO 2016 will be drawn. The event follows the conclusion of the qualification play-offs that saw Bosnia and Herzegovina, Finland and Switzerland reaching this final qualification phase. On Friday the 28 teams now confirmed will be drawn into seven groups of four teams each. The top two ranked teams from each group and the best third ranked team overall will qualify for the final tournament and join the hosts, Poland, who are already qualified. The first qualification matches will be played at the end of October 2014. The draw will be streamed live via the EHF EURO Youtube Channel and on the official website. A live ticker and live tweets via the EHF EURO Twitter channel will also be available. For more information refer to the draw procedure. Poland not only hosts the Men's EHF EURO 2016, but will also welcome 16 youth national teams for the Men's 18 EHF EURO from 14 to 24 August. After the qualification tournaments were played at the beginning of January 2014, the draw for the final tournament will take place on 9 April at 17:30 hrs local in Warsaw. The European Handball Federation offers a live ticker and live tweets from the event. For more information refer to the draw procedure.